Following the previous announcement that The Surge would see a release in May, a specific launch date for Deck13’s sci-fi action RPG has today been locked in. The good news comes by way of a new cinematic trailer, which shows protagonist Warren clashing with a various assortment of mechanical and humanoid enemies that have taken up residence in the now largely abandoned CREO complex. The megacorporation, which had been established in order to research – and potentially reverse – the effects of climate change, has been ravaged by a mysterious catastrophic event by the events of The Surge, and it’s Warren’s job to pick up the pieces and get to the bottom of what’s causing all the ruckus. 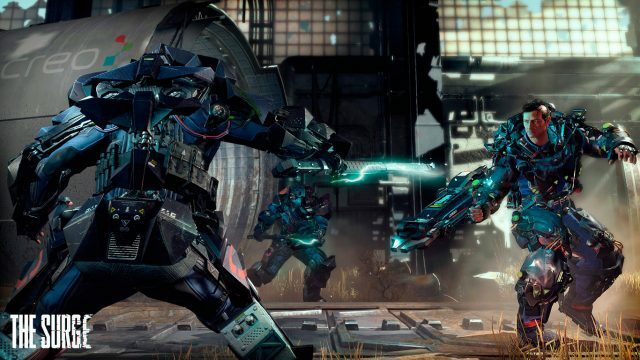 As was the case with Deck13’s previous game Lords of the Fallen, everything we’ve seen so far of The Surge suggests that the dystopian RPG is going to feature the same sort of weighty, impactful combat that the Souls-like title exhibited, although a fresh sprinkling of unique mechanics for this particular title should help to distinguish it from the crowd. Thanks to the hefty exo-suit that’s been grafted to Warren in a routine procedure gone wrong, Warren can target the specific limbs of his enemies and lop them off with industrial-grade tools and then add them, either directly or through researching and crafting, them to his own arsenal, with parrying and dodging systems also at his disposal for when brute force just doesn’t quite cut it. For an idea of how a typical combat scenario plays out in real time, you can head over here for 14-minutes of gameplay previously released by the developer. The Surge is out May 16 on Xbox One, PlayStation 4 and PC. Pre-ordering will net you some exclusive content, although Deck13 has yet to specify what that entails. Stay tuned.